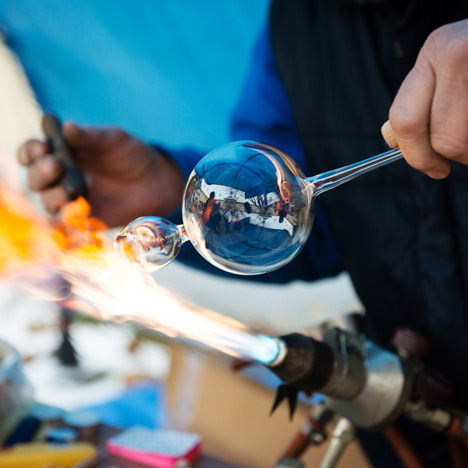 News: government proposals to remove crafts from its list of recognised creative industries have triggered "disbelief" and "frustration" in the sector. Industry body the Crafts Council said the announcement had been met with "incomprehension" by the country's craftspeople. "The response has been mostly a sense of disbelief and incomprehension," said research and policy manager Julia Bennett, pointing to the dozens of messages left on the organisation's Facebook page today. "There's a lot of frustration, a sense of feeling undervalued and a fear that this will make people invisible." As reported yesterday, the proposed change is part of a review of the UK's creative industries set out in a consultation paper released by the Department for Culture, Media and Sport (DCMS) earlier this week, which stated that craft occupations are largely "concerned with the manufacturing process, rather than the creative process." "I am so frustrated by this," said crafts blogger Jen Smith of The Make Box. "The craft industry is booming right now and should be wholeheartedly supported by our government." Commenters on the Craft Council's Facebook page said the decision revealed "a total lack of respect and understanding [of] the craft process" and was "obviously made by people that shuffle bits of paper around and have never created a thing in their lifetime." Dezeen commenters also branded the move "saddening" and "a symptom of myopic thinking." The decision to remove crafts from the list of creative industries seemed to be a reaction to the difficulties of gathering economic data on the sector, Bennett told Dezeen. "The reason I think that [the government] is going down this route is that it's challenging to come up with a methodology for measuring craft. We are working with DCMS and would welcome their investment in a methodology that would actually count craft," she said. In a blog post earlier this week, the Crafts Council said it was "disappointed" at the government's proposals, adding that the methods of data collection and classification used by the DCMS did not present an accurate picture of the UK's craft sector. According to the council, nearly 90% of makers in the sector are the sole employee of their company, and many of them have an annual turnover of less than the VAT threshold of £79,000. "If a sole trader falls below the VAT threshold, then because the government chooses not to gather business data below that level, they become invisible," said Bennett, who argued that relegating crafts from creative industries would obscure the sector's economic value and make it increasingly difficult for makers to obtain funding and support. "We provide a lot of programmes at the Crafts Council to help people's businesses grow. To get funding for things like that, we need to be able to say how many businesses we're contributing to and what the scale of the sector is. "We estimate in the UK there's over 23,000 craft businesses with a gross value added of £220 million in 2011. It's not as big as some other parts of the creative industries, but nevertheless it's a substantial bit of business that's not being made visible, not counted," she said. The proposed changes are intended to update the government's 1998 Creative Industries Mapping Documents, one of the first attempts to quantify the value of creative businesses to the economy. Consultation on the revised classifications closes on 14 June 2013. Details of how to respond can be found here.